At Biblical Trinitarian, Mike R. Burgos Jr. and I have labored to provide readers with quality scholarly articles on a variety of apologetics topics. 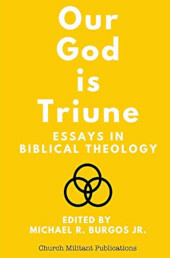 Some time ago, Mike proposed the idea of an apologetics book defending Trinitarianism. This book would include not just our writing, but essays from other co-laborers in apologetics. Well, the book is coming together after some time, and it looks great! It is in the final stages of editing, so it’s not for sale yet. However, I’ve included the working front and back covers, as well as the chapter titles and the names of authors who contributed to the book. Take a look at it, and stay tuned for more info on the book. It will be available for E-readers & Tablets (e.g. 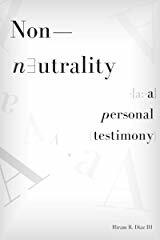 Kindle, Nook, Ipad, etc), and may, possibly, also be available in hardcover. I pray that this work will be a great source of assistance to the church as we go out and defend the truth against the enemies of Christ. 1. Proto-Trinitarian Christology . Michael R. Burgos Jr.
2. Justified: A Proto-Trinitarian Reading of Genesis 1:26-27. Michael R. Burgos Jr.
3. The “Heavenly” & “Earthly” Yahweh: A Proto-Trinitarian Intrepretation of Genesis 19:24, Part I. Anthony Rogers. 4. The “Heavenly” & “Earthly” Yahweh: A Proto-Trinitarian Intrepretation of Genesis 19:24, Part II. Anthony Rogers. 5. Proto-Trinitarianism in the Book of Daniel. Hiram R. Diaz III. 6. Jewish Proto-Trinitarianism. Michael R. Burgos Jr.
7. An Exegesis & Synthesis of John 1:1-3. Michael R. Burgos Jr.
8. Yahweh: The Man Who Told Abraham the Truth. Hiram R. Diaz III. 9. Forma Dei/Forma Servus: A Necessary Christological Dialectic. Michael R. Burgos Jr.
10. I Am: Reducing Unitarian Argumentation to Ashes. Michael R. Burgos Jr.
11. Not From Men, Nor Through Men. Hiram R. Diaz III. 12. Don’t Call it a Comeback: Unitarianism Refuted by Divine Fatherhood. Michael R. Burgos Jr.
13. The Preexistence of the Person of the Son. Edward Dalcour. 14. The Unity of God in Christianity & Islam. Rudolph P. Bushoff. 15. Answering Attacks on the Trinity from the New Urban Alternative Spiritualities: The Triune Nature of God in Ante-Nicene and Early African Christianity. Vocab Malone. 16. 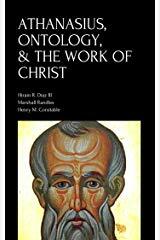 The Axiom of Unipersonality: Examining Unitarian Arguments Against the Trinity. Hiram R. Diaz III. 17. 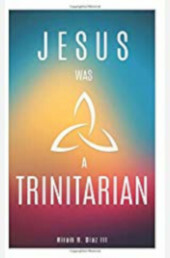 Jesus Was a Trinitarian. Hiram R. Diaz III. Yesterday, my friend George Alvarado (of the blog “Our Common Salvation”) debated Chris Date on the subject of conditional immortality/annihilationism. 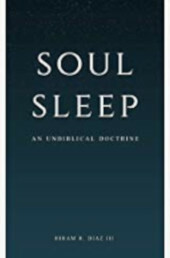 The debate is 90 minutes long, and well worth your viewing time, if you want to understand some of the more nuanced reasons why the annihilationist doctrine is unbiblical. George is a linguist and, therefore, approaches the subject matter with an eye toward revealing the cunning devices of some of the major proponents of the heresy of annihilationism. After the debate, George and Chris had an open discussion in which these issues were delved into with even more specificity. The debate and discussion were held by The Bible Thumping Wingnut podcast/Network, and can be viewed here and here. If you haven’t already, check out George’s very helpful series Rethinking Conditionalism in which he also explains why annihilationism is false. Some time ago, I wrote a long article on Athanasius of Alexandria, in which I explained that a contextual reading of this father proves that he was not an annihilationist, contrary to the claims of modern annihilationists. My essay looked at the most up to date and best Athanasian scholarship. So I decided to look into the past to see what the views of older scholars were. The overwhelming majority of past patristic scholars, essentially, taught the same thing. This is true for those who held to the orthodox doctrine of hell, as well as for annihilationists. You can purchase the book as a Kindle ebook here, or as a paperback book here. On our Biblical Trinitarian facebook page (check it out here), I have done several audio live streams where I discuss annihialtionism, fallacies employed by heretics, and other issues. I’m new at this kind of thing, so bear with me! But I may continue to do some more, if I feel so led. They have been helpful, seeing as I don’t have the kind of time I would need to devote writing to the subjects I have dealt with in the live streams. You can check them out at the facebook page linked above. Finally, Michael and I have written two new articles at Biblical Trintarian. Mine is titled “What is Apologetics? Pt. 1,” in which I briefly discuss what the Scriptures tell us about apologetics. And Michael’s article is titled “A Brief Consideration of the Bibliology and Theology of the Watch Tower Bible & Tract Society,” in which he explains why Jehovah’s Witnesses are translationally wrong and doctrinally heretical. Lord willing, I will be posting some new content here on Wednesday. So stay tuned!